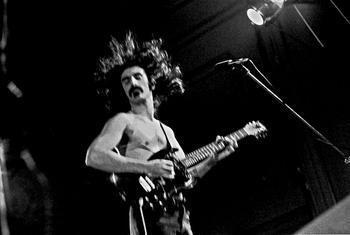 During his life and career, rock musician Frank Zappa was not exactly a mainstream artist. And that's part of what made him cool. He leaned heavily on rock, pop, and jazz, but also tossed in intriguing bits of jazz fusion, orchestral, and works that used various eclectic sounds. He and his band, The Mothers of Invention, had an extremely devoted following in the late 1960s. Now, the Zappa Family Trust and Universal Music Enterprises (UMe) are teaming up to release 24 Zappa albums, some of them rare, later this month. The music will be available on CD, digital downloads, and streaming on March 24. "For more than two decades, the only place to get exclusive Frank Zappa albums was through our mail order and website," said Ahmet Zappa, son of the late artist and the Trust's executor. "We are thrilled to be able to make these titles available to fans across the globe with the help of our friends at Universal." According to UMe, nine of the albums in the collection, including Zappa's 100th release, "Dance Me This," and the cult favorite live disc, "Roxy By Proxy," have never been made available for download or for streaming. The collection also includes a recording from a 1971 performance at Carnegie Hall and a 1974 recording made at KCET-TV studios in Los Angeles, which ended up being used in a number of different Zappa projects. Zappa died in 1993 after a long battle with cancer. He was 53.